Lincoln County (pop. 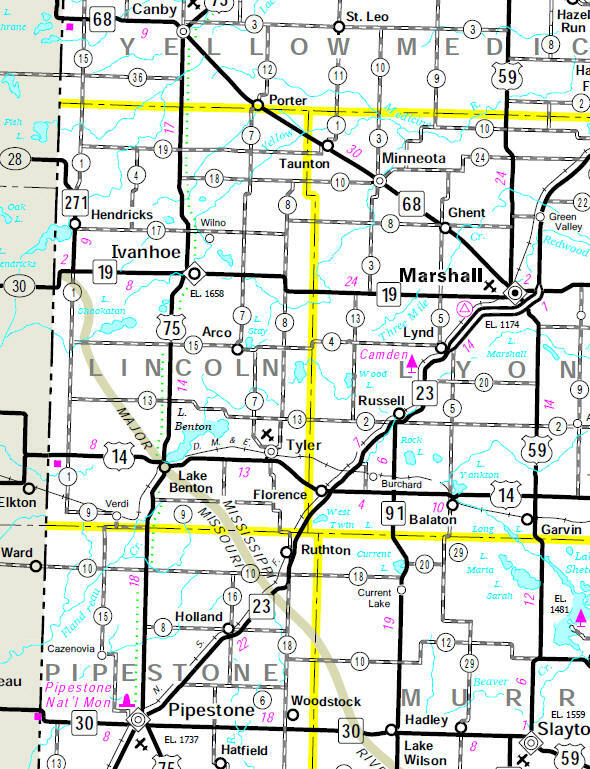 18,106) is one of 23 Lincoln counties in the U.S. Not only is it adjacent to Idaho – it is shaped like Idaho. The county seat of Lincoln County is Kemmerer (pop. 2,656). 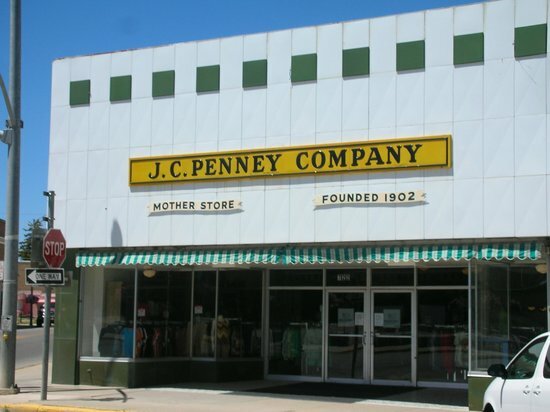 James Cash Penney (1875-1971) opened his first store in 1902 in Kemmerer. Penney’s stores were originally called Golden Rule Stores. The “Mother Store” in Kemmerer is still in business. 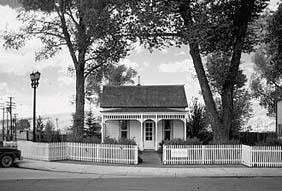 Penney’s house in Kemmerer is open for tours. About 15 miles west of Kemmerer is Fossil Butte National Monument. The visitor center has a variety of fossils and fossil casts. In the northwestern part of Lincoln County is the Star Valley, surrounded by mountains and forests. It runs north-south, adjacent to the Idaho border. The largest city in the valley is Afton (pop. 1,911), the hometown of Olympic wrestler Rulon Gardner. 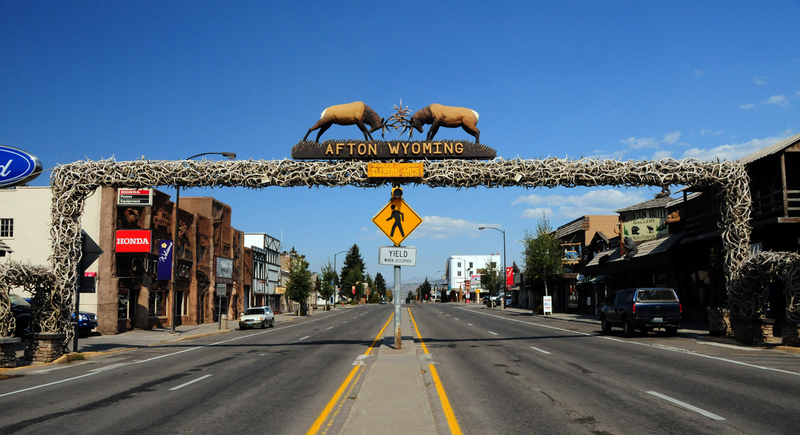 Downtown Afton has a 75-foot arch over U.S. Highway 89. The arch is made entirely of elk antlers. Lincoln County (pop. 5,896), just south of Yellow Medicine County, is one of 23 Lincoln counties in the U.S.
Ivanhoe, the county seat, is the smallest county seat in Minnesota, with a population of 559. The courthouse was built in 1919. Tyler (pop. 1,143), the largest city in Lincoln County, has it annual Aebleskiver Days in July. It’s a spherical Danish pancake. 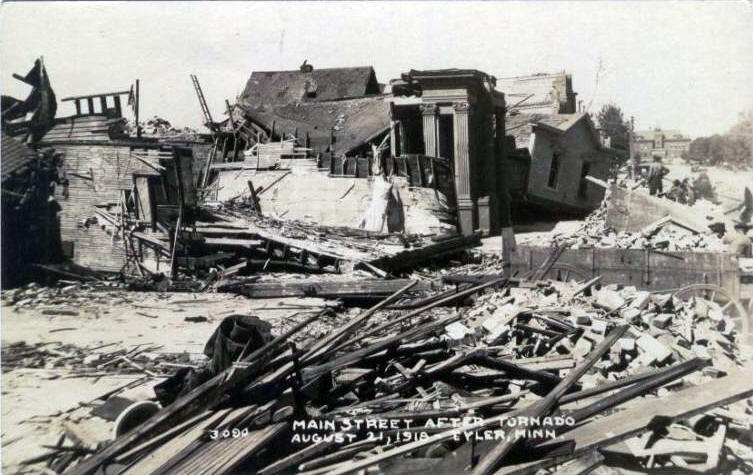 On Aug, 21, 1918, Tyler was hit by the fourth deadliest tornado in Minnesota history; 36 people were killed, and more than 100 were injured. The town of Hendricks (pop. 713) is at the northern edge of the Buffalo Ridge Wind Farm, one of the largest wind farms in the U.S., with several hundred wind turbines. The turbines are more than 200 feet tall. Lake Benton (pop. 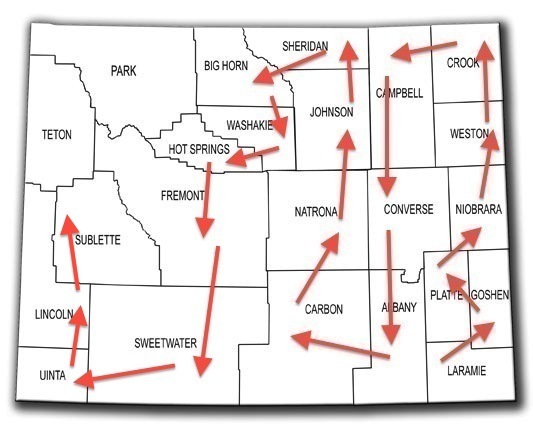 683) is only 28 miles east of Brookings, S.D., home of South Dakota State University.